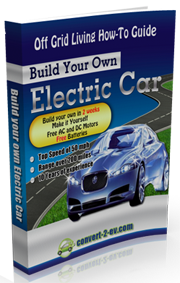 It is difficult to bring out in brief the various points that are important in regard to steps for safety while handling and maintaining the batteries on your DIY electric car. Though basically the principle on which batteries work remains the same, there are numerous types in which these useful but potentially hazardous modern day power storage unit is made by different manufacturers. Batteries are in fact devices to store electrical energy in chemical form; the way this conversion is brought about warrants several safety precautions. Safety gear such as gloves, glasses and apron are a must for anyone carrying out various steps in the process of installing and later maintaining the batteries on a homemade electric vehicle (EV). The use of caustic electrolytes in lead acid batteries makes them particularly hazardous; this kind of batteries produces highly inflammable hydrogen gas while charging. Hydrogen gas being lighter than air diffuses fast into the atmosphere; but it is necessary that the place where these batteries are charged should have adequate ventilation. The battery containers should also be so designed that they do not trap emerging hydrogen. For safety against this hazard, it is suggested that a DC fans be used with battery boxes that start automatically the moment charging of your EV commences. Care should be taken however to use brush-less type DC fans so as to eliminate the possibility of sparks. Some electric car conversion kits made by using cheap electronic parts to bring down costs are just not safe enough. Do a detail research before you decide to invest on one. In case of lithium batteries and the sealed lead acid batteries, you have to be even more particular about the stipulated conditions for charging them. Any deviation from the specified conditions may result in damage to the batteries or even render them unusable. The price of a new battery is too high to invite the need for it arising prematurely! A way out that is problem is to have a set of chargers from the same high voltage source, each to cater to a different battery specification. This system though convenient is not fool proof due to the larger number of components and cables hanging in your garage which will create problems of its own. Lithium batteries need greater caution in handling and charging not only as they are comparatively more expensive but also because they are potentially more hazardous. When carrying batteries on your electric car, utmost care should be taken to ensure their structural integrity in case of emergencies such as applying sudden brake or worse, facing an accident. Deep cycle lead acid batteries are quite heavy too (some eighty pounds or higher) and may pose a major threat to passenger in the EV in case of a road accident. In the northern regions of the US where winter is severe, people follow the practice of keeping batteries insulated that helps retain heat. It is an inconvenience, but it will add safety to the driver and passenger. Fiberglass reinforced plastic used to make double walled enclosure padding insulation between the walls makes quite an effective insulator for your EV. By designing a contraption of steel straps and rods that securely holds the batteries in place even as the car speeds up greatly reduces risks from jumping and jerking of the cables and connectors. This looks a little scary. (too many wires)! I may wait a while and see if electric is the future. Thanks and yes I have learned a few things. I am thinking of using a small Pick up truck to try to get a 250 mile range before recharge. Using a wind turbine and solar panels for recharge. I understand using a light pick up I could have more barriers and maybe add a solar panel top on the top of the bed for extended range. I am looking for transportation only for two people at highway speed. I was impressed. I also learned something from the blog. It is a good thing to do things on your own but with a lot of care and it is still best to contact a professional. I appreciated your blog very much. Very informative article indeed. I enjoyed reading it. Must be very careful with handling anything electrical for any mistake can cause great personal injuries.